There has been continuous growth of vendors offering BI solutions which cover varying aspects of business intelligence. There has been a lot of emphasis on visualization, offering BI on mobile devices and making reports more interactive. One of the recent products which i got to look at were Spotfire and Cognos. 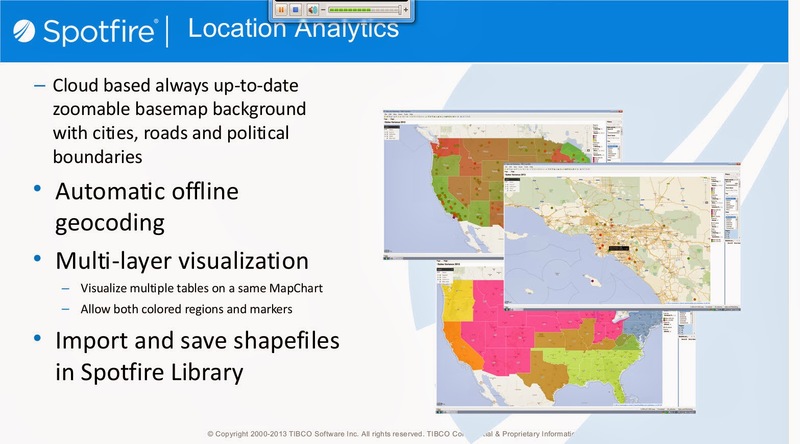 Spotfire is a BI tool offering from TIBCO, Cognos is from IBM. SQL Server BI stack has been facing challenges from different vendors, Microsoft also has been growing its offerings. Coming to the 2 products Spotfire and Cognos, one of the common pitches I heard from these 2 vendors is that both of them offer zero footprint solutions, both of them are web driven tools and the user gets to access different modules available in the products. How they have pitching against the SSRS solution from Microsoft is that, with SSRS one needs to a have a client install of Visual Studio or BIDS in order to perform report development. Cognos for example has the following components with in their product like Analysis Studio (which geared more towards cube building), Query Studio and Report Studio. With respect to Spotfire i was able to get information only on Reporting and Visualization. The capabilities from Spotfire with respect to Dashboard looked impressive. 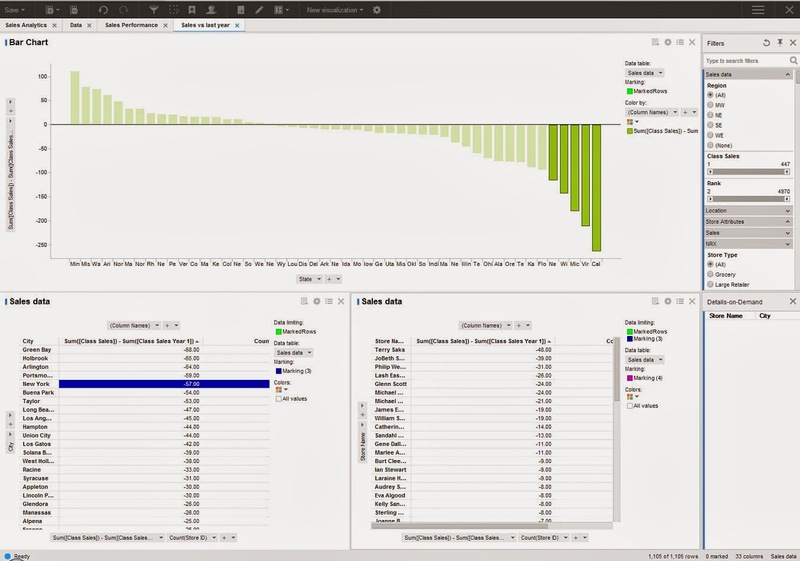 Spotfire focused on how users can take advantage of Advanced analytics without requiring client side installs and providing more power to Business users. The next feature which was demonstrated was a concept called Location Analytics, this would allow users to build reports based on maps and would provide details with respect to Cities, roads and political boundaries. One of the features highlighted was the concept of Automatic Offline Geocoding, which seems like a neat concept, need to dwelve on these features more to get a understanding of the benefits. It would be interesting to see how the BI space pans in the coming year with emphasis on Cloud based offerings and other social network related features being added into the mix of products.